Kevin Harvick, driver of the No. 4 Busch Beer Ford Fusion for Stewart-Haas Racing (SHR), is helping Busch Beer celebrate its deep history in NASCAR by featuring a car inspired by Busch’s racetrack-specific collectable can series dating back to 1996 during Sunday night’s Southern 500 Monster Energy NASCAR Cup Series race at Darlington (S.C.) Raceway. The Busch Beer collectable can series from 1996 featured the layout of NASCAR tracks throughout the series along with facts about the configuration of each racetrack. Darlington was one of the featured tracks in the series of collectable cans. Busch Beer’s rich history in NASCAR dates back nearly 40 years to the sponsorship of Cale Yarborough’s No. 11 car during the 1979 season, starting with one of the most significant races in NASCAR history – that year’s Daytona 500. Darlington is the perfect setting to celebrate Busch Beer’s deep racing roots. Highlights of Busch’s storied racing heritage include sponsoring the Busch Pole Award in 1978, presented to Cup Series pole winners each week. Busch introduced the Busch Clash in 1979, held each year at Daytona (Fla.) International Speedway the week prior to the Daytona 500. And it was title sponsor of NASCAR’s steppingstone division – currently known as the Xfinity Series – from 1984 through 2007. Busch Beer also held the “Official Beer of NASCAR” status from 1988 through 1997. Busch Beer reclaimed its “Official Beer of NASCAR” status and sponsorship of the Busch Pole Award at the beginning of the 2018 season. While Harvick will drive a No. 4 Ford honoring the history of his sponsor Busch Beer, he is looking to score his second Cup Series win at the 1.366-mile egg-shaped oval. In 2014, Harvick won the 65th running of the iconic Southern 500 – one of the crown jewels on the 36-race Cup Series schedule – in dominating fashion. He started from the pole and led 238 of 374 laps en route to beating runner-up Dale Earnhardt Jr., to the finish line by .558 of a second. The win at Darlington was the second of Harvick’s five Cup Series wins during his championship season. 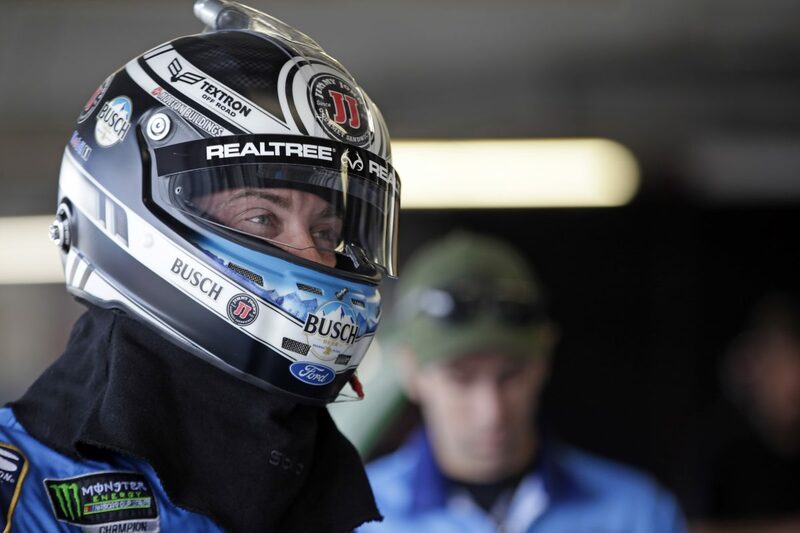 With only two races remaining before the start of the 10-race Monster Energy NASCAR Cup Series playoffs, Harvick would like to add to his series-best seven points-paying wins of the season at Darlington Sunday night. In addition to adding to his win total, Harvick is trying to close the gap on points-leader Kyle Busch, who holds a 43-point advantage through 24 of 26 regular-season races. Harvick has clinched his spot in the playoff field for the 12th time by way of his career-best seven wins. He only needs to attempt to qualify for the remaining two regular-season races to make his playoff status official. While Harvick and the No. 4 team are locked into the playoff field by points and wins, gaining playoff points via stage wins and race wins is now their top priority through the next two races, starting this weekend at Darlington. Your thoughts about heading back to Darlington for this special race weekend? What’s it like to have so many drivers from the past at the track for throwback weekend at Darlington?